Mobilegeddon: Help Google or else! - Sketch Corp. If industry news was anything to go by, April 21 was supposed to be the end of the world for millions of website owners. Causing perhaps the biggest internet freak-out since Kony 2012, Google told the internet that it’d be changing the way its algorithm worked: websites that weren’t mobile-ready would begin to lose their rankings in search results on smartphones. This soon became known as “Mobilegeddon”, and everyone was convinced that it would totally capsize half of the world’s websites. We’re now a couple of weeks into the new ranking system, and while there have been some recorded changes for major international websites, the algorithm change has seemingly turned out to be more bark than bite. So far. But just like any large organism, big change happens slowly. There will be a long-term impact. Time will tell. If your website was built from scratch by Sketch Corp., it will already be mobile-friendly, which means it’s safe from penalisation. If it wasn’t and you want to double check, type your web address into the free tool linked below and it’ll tell you. If the results say your website isn’t mobile-friendly, you should get onto it right away. Right now. As in, stop reading this and pick up the phone. If you’re getting a message that says “Awesome! This page is mobile-friendly.” then you’re on the right track. Please note: If you’re getting a message saying that there are resources which are blocked by robots.txt, don’t worry. Even the Google website itself generates multiple errors. For those of us whose sites are already mobile-friendly, we could stop here and pat ourselves on the back for a job well done. But just because a site is mechanically compatible with mobile devices, this doesn’t mean it’s going to rank well. You see, Google doesn’t just randomly roll out these kinds of changes without thinking about it. They have their own objectives in mind. To play right by Google means aligning with what they are trying to achieve. Let’s not forget that Google makes money by being a great search engine. It helps you find exactly what you’re looking for – faster and more relevantly than any other search provider can do it. Sorry Bing, but it’s true. With mobile search now making up 50-60% of search traffic, Google is taking steps to meet its users’ needs. But merely being mobile-friendly is only one little piece of the puzzle. As Google’s endless quest for better search results continues to evolve, you’re going to need to keep playing by its rules. This means better content, faster page loading, cleaner navigational structure, and easier-to-find information. In a nutshell, Mobilegeddon was simply Google telling us what it wants us to do, and what it’ll give us in return. You need to help Google help you. Google will only rank your website if you’re delivering the content that web users want or need to find. All that Mobilegeddon did was to start accounting for different search behaviour on different devices. Mobilegeddon was about serving Google’s users, not just Google. Google’s users are human beings. So to do right by Google, you need to ask yourself: What do people want? What are people looking for? What information isn’t already out there? How can we be more helpful? How can we make the online experience better? And most importantly: How do people search differently on smartphones than on computers? The way people consume information is vastly different depending on what device they’re using. If you’re selling a highly technical product or service like a mortgage or engineering equipment, your users might not be doing all their research on a little smartphone. But if you run an emergency towing company, chances are most people will be looking for you from their phones. To make sure your site is as future-proof (and Google-proof) as possible, put your human users and customers first. Think about what content they want and how they want it delivered. In the end, even if you don’t end up ranking up the top of the search results, you’ll still be delivering the best possible user experience to people that do visit your site. And that’s still a win, whichever way you cut it. Feel like a chat about creating a better experience for your online visitors, whether mobile or desktop? Give the Sketch team a call on 07 3352 6657! Remarketing: Truly good, or too good to be true? Help! 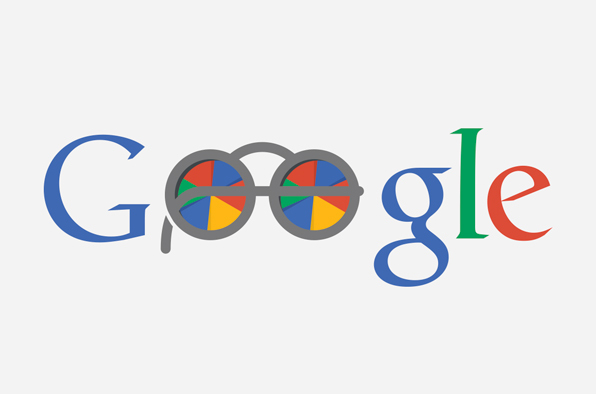 We’ve gone all Google-eyed!